Explore historical monuments, aged old statues and craftsmanship. Visit highly revered Hindu and Buddhist temples and stupas. Observe old bazaars of spice and local produce. Kathmandu Valley is rich in culture, history and century old historical monuments, temples, monasteries, stupas and old bazaars. This tour is designed for those visitors who have limited time, but would like to have the best experience of Nepalese history, culture, tradition and lifestyles. The tour begins from your hotel, where you will meet your knowledgeable local guide and drive to either Swayambhunath Stupa or Boudhanath Stupa. Both stupas are centre of attractions for Buddhist followers. You will enjoy a beautiful bird’s eye view of Kathmandu and valley below from the hilltop setting of Swayambhunath Stupa. As you explore the interior, you will be mesmerized by the wafts of incense, hypnotic chants of prayers and surreal sounds of ringing bells. After being spiritually awakened and blessed by residing chief lama (abbot of the monastery) you will follow your guide to stroll around the stupa to gain spiritual merit. And then, you will drive to Kathmandu Durbar Square. 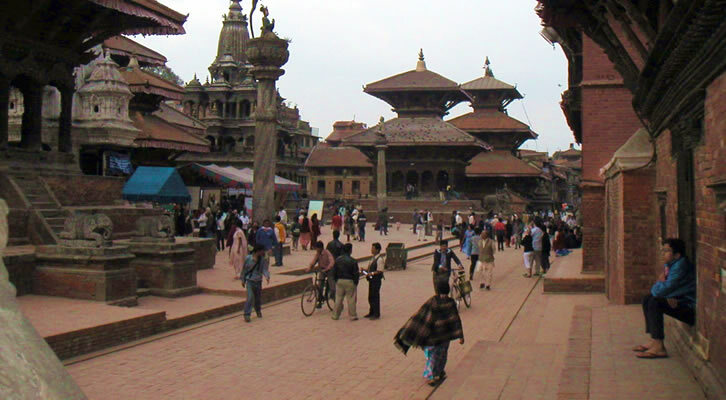 Kathmandu Durbar Square is one of the Cultural World Heritage Sites enlisted UNESCO. Unfortunately, some of historical monuments, temples and statues received severed damaged during tragic earthquake. However, Kumari Palace (Palace of the living Goddess) and colorful local markets are worth a visit. After visiting Kathmandu Durbar Square, your guide will take you to the Pashupatinath Temple, a centre of faith for Hindu followers. Cremation platforms, spiritual merit seekers sadhus (holy sage) and idols of various Hindu gods and goddesses are major highlights of Pashupatinathh Temple. Tour Type: Guided city sightseeing tour. Area Covered: Kathmandu, Durbar square, Swayambhunath Stupa/Boudhanath, and Pashupatinath Temple. Tour Cost: Please contact us for a special price. Best Months: All year round. What’s Included: Service of government certified, knowledgeable, experienced and professional tour guide, vehicle with a driver and all applicable entry fees. What’s not included: Lunch, guide and driver tips. Highly revered Hindu temple and cremation site at Pashupatinath Temple. Patan, the city of fine art. Bhaktapur, the historical and cultural city of devotees. There are three medieval cities: – Kathmandu, Patan and Bhaktapur, inside the Kathmandu Valley. The Kathmandu is known as the city of beauty, Patan is also called the city of fine art and the Bhaktapur is known as the city of devotees. As names suggest, each city has its own unique attraction to offers visitors. This tour is specially crafted for those who have only a day to experience the beauty and antiquities of these three medieval cities of Nepal. The tour begins from your hotel, where you will meet your experienced and knowledgeable local guide and drive to Pashupatinath Temple. Pashupatinath Temple is a famous temple for Hindu followers. Cremation Ghats (sites), holy sadhus (spiritual merit seekers), temples and idols of various gods and goddesses are major attractions of Pashupatinath Temple. After visiting Pashupatinath, your guide and driver will take you to Patan where you will explore major attractions of Patan, namely Patan Durbar Square, Golden Temple, Maha Buddha and Banglamukhi Temple. Patan is famous for wood and metal craftsmanship. After exploring Patan’s major highlights and having lunch, you will drive to Bhaktapur. Golden Gate, Nyatapola Temple, Dattatraiya Square, Peacock Window, Porter’s Square and Palace of 55 windows are not-to-miss attractions of Bhaktapur. Area Covered: Patan, Durbar Square, Pashupatinath Temple and Bhaktapur. Explore culture, arts, temples and historical monuments of medieval cities. Highly revered Buddhist sacred sites. Authentic rural Newari villages and culture. Kathmandu Valley is rich in medieval history, culture, arts, craftsmanship and century old Hindu temples and Buddhist stupas. This tour is specially designed for those visitors who would like to explore some ancient rural villages apart from visiting medieval cities (Kathmandu/Patan/Bhaktapur), temples and stupas. The tour begins from your hotel, where you will meet your local and experienced guide and drive to either Swayambhunath or Boudhanath Stupa. The tour also offers ample opportunity to explore Pashupatinath Temple, either Patan or Kathmandu Durbar Square and two authentic Newar rural villages, Khokna and Bungamati. 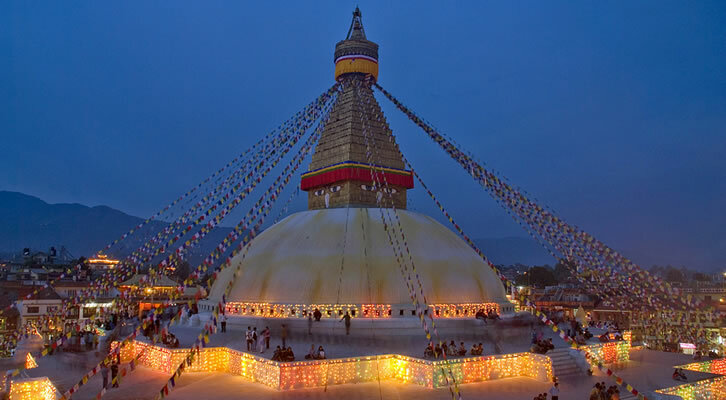 Swayambhunath and Boudhanath stupas are centre attractions for Buddhist followers. Pashupatinath Temple is the holiest site for Hindu believers. 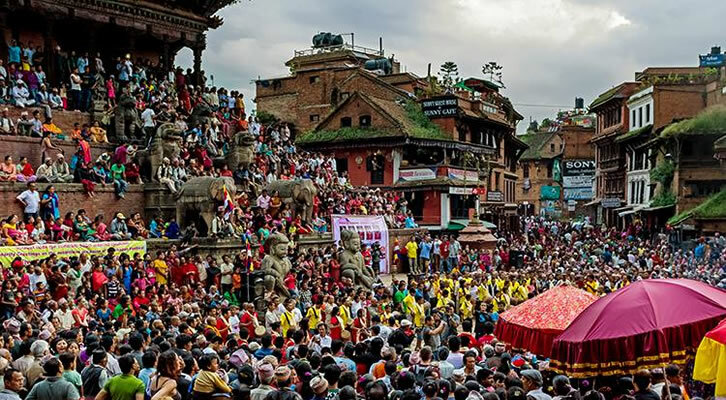 Patan and Kathmandu Durbar Squares are medieval cities of the Kathmandu Valley where as Khokna and Bungamati are rural villages where authentic Newari culture, traditions and lifestyle can be observed. Explore Bhaktapur, one of the most famous medieval, historical and cultural cities. Visit to Namo Buddha, a highly revered Buddhist sacred site. 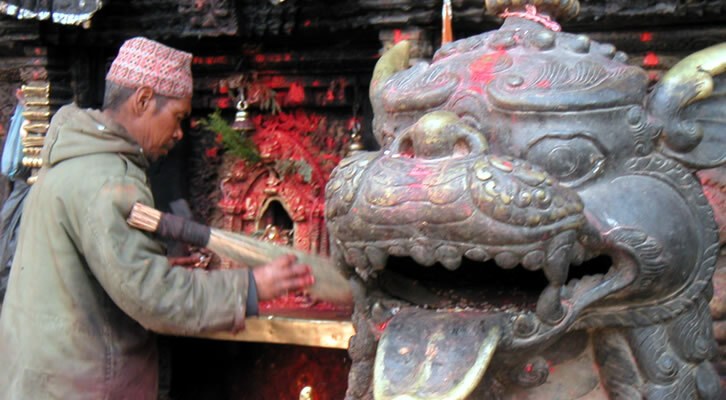 This tour is specially crafted to those visitors who are interested in Nepalese medieval history, culture, arts, wood, metal and stone craftsmanship and Buddhist culture. This tour is a combination of a Bhaktapur, the city of devotees and Namo Buddha. Bhaktapur is rich in history, culture and craftsmanship where as Namo Buddha is a highly revered site for Buddhist followers. It is believed that Namo Buddha is the place where Shakya Muni Buddha, in his past life, fed his own flesh to the hungry cubs of a feeble tigress. The tour begins from your hotel where your guide will meet and take you to the Bhaktapur and then onto Namo Buddha. Area Covered: Bhaktapur and Namo Buddha.